Every Other Wednesday – Music Sandwiched In at the Spartanburg County Public Library. This is a free concert sponsored by the Spartanburg Philharmonic Orchestra. For more information call (864) 948-9020 or visit https://www.chapmanculturalcenter.org/pages/calendar/detail/event/c/e113/. Third Thursdays – Art Walk in downtown Spartanburg. Enjoy a self-guided tour of various galleries in downtown Spartanburg. For more information call (864) 582-7616 or visit http://spartanburgartwalk.com/. Fridays – Starry Nights at the Roper Mountain Science Center in Greenville. Enjoy a planetarium show followed by a chance to view the night sky through a telescope in the Observatory if the weather permits. For more information call (864) 355-8900 or visit https://ropermountain.org/main.asp?titleid=starrynightsnew. First Friday – First Fridays at the Metropolitan Arts Council in Greenville. Take a tour of the visual art galleries and venues in downtown Greenville with works to include jewelry, pottery, acrylics, watercolors, photography, and more. For more information call (864) 467-3132 or visit http://www.firstfridaysgreenville.com/. Second Saturdays – House Concerts at the Hagood Mill Historic Site and Folklife Center in Pickens. This event known as Heartstrings, includes bluegrass, gospel, and traditional roots music. For more information call (864) 898-2936 or visit http://www.co.pickens.sc.us/CulturalCommission/CurrentEvents/default.aspx#AttheHagoodMill. Third Saturdays – Milling, Music, and Memories at the Hagood Mills Historic Site and Folklife Center in Pickens. This is a great day of fun making music, learning the art of blacksmithing, bowl digging, flint knapping, chair canning, moonshining, and much more! For more information call (864) 898-2936 or visit http://www.co.pickens.sc.us/CulturalCommission/CurrentEvents/default.aspx#AttheHagoodMill. Sundays – Say What Open Mic at Coffee Underground in Greenville. Singers, poets, musicians, storytellers, comedians, and any others who wish to come out and share their talents are welcome! For more information call (864) 298-0494 or visit https://www.facebook.com/events/525128037629167/. Saturdays and Sundays – Historic Building Tours at Oconee Station State Historic Site in Walhalla. You’ll get to see a 1792 stone block house which is all that remains of a military outpost that existed during conflicts between the white settlers and the Indians, and an 1805 brick house, home of the merchant who owned the outpost. For more information call (864) 638-0079 or visit http://southcarolinaparks.com/oconeestation/oconeestation-programs.aspx. Through December 19 – Writing Workshop with Vera Gomez at the Huguenot Mill Conference Room in Greenville. Here is a chance for adults to learn the art of bringing your own story to life through poetry. For more information call (864) 467-3000 or visit https://www.peacecenter.org/events/detail/writing-workshop-3. Through December 22 – “Laughing All The Way” at the Center Stage Theatre in Greenville. Enjoy this Christmas variety show filled with hilarious Christmas sketches, wonderful dancing, and timeless classic and sacred holiday tunes that will certainly get you in the holiday spirit! For more information call (864) 233-6733 or visit https://centrestage.org/laughing-all-the-way/. Through December 22 – Christmas “Inn” Our Town in downtown Fountain Inn. Enjoy a visit to the holiday events that will include carriage rides, carolers, kids activities, crafts and vendors, food, and of course Santa! For more information call (864) 724-8044 or visit https://www.fountaininnevents.com/christmas-inn-our-town. Through December 22 – Christmas “Inn” Our Town in downtown Fountain Inn. You’ll enjoy carriage rides, visits with Santa, live music, craft and food vendors, and more! For more information call (864) 862-4675 or visit https://www.fountaininnevents.com/christmas-inn-our-town. Through December 22 – “Dickens A Christmas Carol – The Musical” at The Logos Theatre in Taylors. Everyone loves the great story of Ebenezer Scrooge, and this musical will surely be a wonderful addition to your holiday season! For more information call (864) 268-9342 or visit https://thelogostheatre.com/dickens-christmas-carol-an-original-musical/?__hstc=2593583.a93d74497ea1f2ffa138e61a1175e634.1540148274449.1540148274449.1541354053528.2&__hssc=2593583.1.1541354053528&__hsfp=758881336. Through December 23 – “Christmas On The Rocks” at the Warehouse Theatre in Greenville. Your favorite children from the holiday classics are now grown up and after getting a “little tipsy” share about their lives since we last saw them to include Charlie Brown, Tiny Tim, and Ralphie to name a few, so come out and enjoy what is sure to be a fun and entertaining show! For more information call (864) 235-6948 or visit https://warehousetheatre.com/christmas-rocks-2/. Through December 25 – Anderson Christmas Lights at Whitehall Park in Anderson. Get ready for the holidays with a fun trip through the lights by car, or hop on a wagon and take a ride, enjoy some entertainment, visit with Santa, and just enjoy some great family time! For more information visit http://andersonchristmaslights.com/. Through December 31 – Upstate Holiday Light Show at the Greenville Pickens Speedway in Easley. The upstates most fabulous light show will also include a petting zoo, an ice rink and pony corral, and Santa land so come see this amazing show! For more information call (843) 295-5764 or visit http://www.upstatelights.com/. Through December 31 – Christmas Park at Mineral Springs Park in Williamston. You’ll enjoy a ride through the Park enjoying the hard work of locals and local businesses to create this beautiful holiday light show! For more information visit http://springwaterfestival.com/?page_id=19. Through January 5 – Holiday Lights Safari at Hollywild Animal Park in Wellford. Not only will you enjoy lights, but you’ll also enjoy seeing the animals preserved by this non-profit organization, as well as visit with Santa, but for an additional fee, you can feed some of the animals. For more information visit https://www.showclix.com/event/holiday-lights-safari-2018. Through January 6 – Holiday Ice at Carolina Wren Park in Anderson. It’s that time of year again when you can put on some ice skates and enjoy some fun with friends and family! For more information visit https://www.downtownanderson.com/parks. Through January 15, 2019 – Skating on the Square on Marion Square in Spartanburg. You’ll enjoy time skating in the outdoors to give you that holiday feel and create some great memories! For more information call (864) 325-5361 or visit http://www.cityofspartanburg.org/skating-on-the-square. Through January 21, 2019 – Ice on Main at the Village Green by City Hall in Greenville. Bring the kids or the whole family out to enjoy beautiful downtown Greenville while enjoy a great time ice skating! For more information visit http://www.iceonmain.com/. Through February 18, 2019 – Skating on the Big Ice at the Bon Secours Wellness Arena in Greenville. Here is a chance to skate in the big arena, so bring the kids or the entire family out for a memory creating experience! For more information call (864) 241-3800 or visit http://www.bonsecoursarena.com/events/detail/skating-on-the-big-ice-2. December 20 – “Bob Segar & The Silver Bullet Band” at the Bon Secours Wellness Arena in Greenville. This rescheduled show from October has the performer ready to provide you with a night of his great rock and roll classics, and then some. 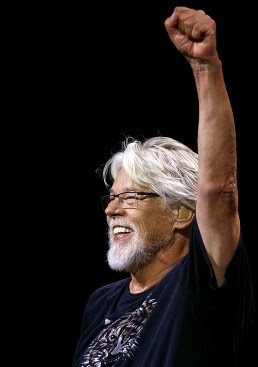 For more information call (864) 241-3800 or visit http://www.bonsecoursarena.com/events/detail/bob-seger-the-silver-bullet-band. December 20 – “Classical – Mozart and Malbec” at Genevieve’s Theatre Lounge in Greenville. This free music appreciation gathering hosted by the artist in residence, Igor Begelman, will include works by this two famous composers. For more information call (864) 467-3000 or visit https://www.peacecenter.org/events/detail/classical-mozart-and-malbec. December 21 – 23 – “The Nutcracker” at the Peace Center Concert Hall in Greenville. If you have never seen this production by the International Ballet, you will certainly want to make the time to see it, as you will not be disappointed! For more information call (864) 467-3000 or visit https://www.peacecenter.org/events/detail/ib-1. December 27 – Free Art Movie: “Louise Bourgeois: The Spider, the Mistress, and the Tangerine” at the Spartanburg Arts Museum at the Chapman Cultural Center in Spartanburg. For more information call (864) 542-2787. December 27, January 4 & 21, 2019 – Skate, Roll, & Stroll at the Bon Secours Wellness Arena in Greenville. Here is a chance for those with disabilities to come out on the ice and either walk, skate, or those not able to walk to be pulled in a sled or wagon, so come out and enjoy some time on the ice! For more information call (864) 241-3800 or visit http://www.bonsecoursarena.com/events/detail/skate-roll-stroll-2018. December 29 – Dancing with the Stars Live! at the Spartanburg Memorial Auditorium in Spartanburg. Come out and enjoy some of your favorite dancers live and in person for what is sure to be a great performance! For more information call (864) 582-8107 or visit https://www.crowdpleaser.com/calendar/228/Dancing+with+the+Stars+Live. December 31 – Rockin’ in the New Year at the Walhalla Performing Arts Center in Walhalla. You’ll enjoy a show performed by The Flashbacks, precede by a fabulous dinner before the show if you choose to participate! 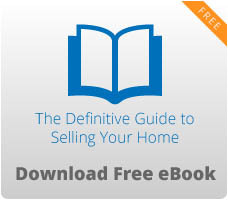 For more information call (864) 638-5277 or visit https://www.walhallapac.com/. December 31 – New Years Eve 2019 Southern Gala at the Hilton in Greenville. This black tie optional event will include a red carpet reception, heavy hors d’oeuvres, three full open bars, dancing with Jumping Jukebox, an interactive photo booth, party favors, champagne at midnight, and a whole lot of great fun! For more information visit https://www.eventbrite.com/e/new-years-eve-2019-southern-gala-tickets-49036185551?aff=ebdssbdestsearch. December 31 – Sparkle City New Years Eve Bash at the Spartanburg Marriott in Spartanburg. Spend the last day of your 2018 enjoying music and dancing, hors d’oeuvres, drinks, a photo booth, champagne at midnight, and dippin’ donuts station following the midnight toast! For more information visit https://www.eventbrite.com/e/sparkle-city-new-years-eve-bash-tickets-53255119496?aff=ebdssbdestsearch. December 31 – New Years Eve Party at The Rutherford in Greenville. This event which will be donating proceeds to the Ronald McDonald House will include entertainment by Steel Toe Stiletto, hors d’oeuvres, open bar, photo booth, and a champagne toast at midnight, so get together your cocktail attire and make your plans now to attend what is sure to be a great night of music and fun! For more information visit https://www.eventbrite.com/e/new-years-eve-party-with-steel-toe-stiletto-tickets-52833909646?aff=ebdssbdestsearch. January 1, 2019 – First Day Hike at one of the upstates State Parks. What better way to start 2019 than with a walk through one of the upstates amazingly beautiful State Parks? For more information visit https://southcarolinaparks.com/park-finder. January 2, 2019 – “Shen Yun” at the Spartanburg Memorial Auditorium in Spartanburg. Immerse yourself in Chinese culture with this wonderful display of music, dance, and story that will absolutely mesmerize you! For more information call (864) 528-8107 or visit https://www.crowdpleaser.com/calendar/223/Shen+Yun. January 4 – Annual Make-a-Wish Benefit at the Greenwood Community Theatre in Greenwood. You’ll spend an evening enjoying music by Edwin McCain and Ashland Croft so come out and support this wonderful organization and the work they do! For more information call (864) 388-7800 or visit http://www.emeraldtriangle.us/Home/Components/Calendar/Event/7888/314?curm=1&cury=2019. January 4 – Clemson Kennel Club AKC Dog Show at the T. Ed Garrison Agricultural Arena in Pendleton. What’s more fun than watching beautiful dogs compete so enjoy some down time after the holiday rush enjoying this show! For more information call (864) 933-8253 or visit https://calendar.clemson.edu/event/akc_dog_show_8617?utm_campaign=widget&utm_medium=widget&utm_source=Clemson+University#.XBVkpWhKiyI. January 4 – 6 – RV & Camping Show at the Greenville Convention Center in Greenville. If you are in the market for a recreational vehicle for the coming year, you’ll want to be sure to come see what they have on site. For more information call (800) 848-6247 or visit https://meetgcc.com/event/south-carolina-rv-camping-show-greenville-sc/. January 5 – WWE Presents NXT Live! at the Spartanburg Memorial Auditorium in Spartanburg. WWE is back and ready to give you another great show to enjoy! For more information call (864) 582-8107 or visit https://www.crowdpleaser.com/calendar/232/WWE+Presents+NXT+Live. January 8 – Russian Composers and Tea at Genevieve’s Theater Lounge in Greenville. This is a Peace Center interlude presented by Artist-in-Residence, Igor Begelman, who is dedicating music of Alexander Glazunov and Sergei Prokofiev in advance of the Russian National Orchestra performance in February. For more information call (864) 241-3800 or visit https://www.peacecenter.org/events/detail/russian-composers-and-tea. Thursday and Saturday –Test-n-Tune (or specialty races) at the Carolina Dragway in Aiken. If you enjoy racing, whatever the vehicle type, or just enjoy watching these events, check out the schedule to see what races are scheduled. For more information call (803) 471-2285 or visit http://www.carolinadragway.com/events-schedule/. First Friday and Saturday – Savannah River Site Museum at the former Dibble Memorial Library on Laurens Street in Aiken. The first phase of the museum is completed and open to the public so stop in for a look. For more information call (803) 648-1437 or visit https://www.facebook.com/srs.heritage/. Through December 22 – North Pole Nights in downtown Newberry. Spend your Fridays through the holiday season with the sights and sounds of Christmas with music, man-made snow, Santa, stories with Mrs. Claus, and opportunities to compete your holiday shopping! For more information call (803) 276-5179 or visit https://www.newberryoperahouse.com/shows-and-events.html?show_name=north-pole-nights. Through December 22 – “The Real Christmas Story” at the NarroWay Theatre in Fort Hill. Nothing will give you the Christmas spirit quite like this historical presentation of the Christmas story and if you haven’t seen it, you will be in for a real treat! For more information call (803) 802-2300 or visit https://www.narroway.net/dinner-shows/real-christmas-story. Through December 24 – Elgin Lights at 2433 Charlie Horse Circle in Elgin. This event that benefits Camp Chemo will be filled with lights, miniature trains, antique tractors and toys, and more! For more information call (803) 408-0131 or visit http://www.elginlights.com/Elgin_Lights_Christmas_Tractors_and_Trains/Welcome.html. Through December 26 – Christmas at Hopelands at Hopelands Gardens in Aiken. Enjoy these beautiful gardens filled with lights and s’more kits, hot chocolate, and cider available, and visit some of the other venues in the area decorated for the holidays and including Santa to include the Thoroughbred Racing Hall of Fame, The Rye Patch Stables, and the Doll House. For more information call (803) 642-7631 or visit https://www.visitaikensc.com/calendar/event/christmas_in_hopelands. Through December 28 – Vernon Grant: “A Christmas Wish” at the Center for the Arts in Rock Hill. Tour the galleries and see the wonderful work of this amazingly talented artist, creator of Special K’s Snap, Crackle, and Pop. For more information call (803) 328-2787 or visit https://www.yorkcountyarts.org/2018-vernon-grant. Through December 28 – Main Street Lights in downtown Newberry. Take a drive not too far from Columbia and enjoy the lights, sounds, and shops of this wonderful town! For more information call (803) 321-1015 or visit https://www.cityofnewberry.com/area-attractions/annual-events/main-street-lights. Through December 31 – Fantasy of Lights at Swan Lake Iris Gardens in Sumter. Come out and enjoy the wonderful lights on display at this amazing Gardens and see the floating Christmas Tree! For more information call (803) 436-2500 or visit https://www.sumtersc.gov/event/fantasy-lights. Through January 1 – Children’s Garden Christmas & Kids Walk at the Edisto Gardens in Orangeburg. Bring the kids out for a drive through the Gardens and be sure to stop and take a walk along the kids walk. For more information call (803) 533-6020 or visit http://www.orangeburg.sc.us/index.php?option=com_content&view=article&id=47&Itemid=109. Through January 21 – Holiday Ice Rink on Saluda Street in Rock Hill. Here is another chance to enjoy ice skating so bring the kids out for some family fun! For more information visit https://www.onlyinoldtown.com/icerink. Through May 25, 2019 – Guided Horseback Trail Ride at the Anne Springs Close Greenway in Fort Mill. Spend a Saturday taking a trip through the Greenway on horseback led by one of the Greenways equestrian staff. For more information call (803) 547-4575 or visit https://www.ascgreenway.org/events/detail/guided-horseback-trail-ride. December 19 – Polar Express Wee Wednesday at the Museum of York County in Rock Hill. Bring out your little ones in their PJ’s and they’ll enjoy hearing the reading of this holiday story, learn about animals found in the north pole, participate in games, create a special craft, and enjoy a holiday sing-a-long in the planetarium. For more information call (803) 329-2121 or visit http://chmuseums.org/event/2504/. December 19 – Christmas Concert with “Charles Billingsley” at the Heights Church in Beech Island. This program will be filled with Christian holiday music to inspire you for the week to come! For more information call (803) 593-3054 or visit https://www.itickets.com/events/407969.html. December 20 – “A Swingin’ Little Christmas” at the Newberry Opera House in Newberry. Jane Lynch and her friends will bring you a fun holiday show filled with many of your holiday favorite songs! For more information call (803) 276-6264 or visit https://www.newberryoperahouse.com/shows-and-events.html?show_name=jane-lynch. December 21 – “Hammered Dulcimer Christmas” at the Aiken Community Theatre in Aiken. 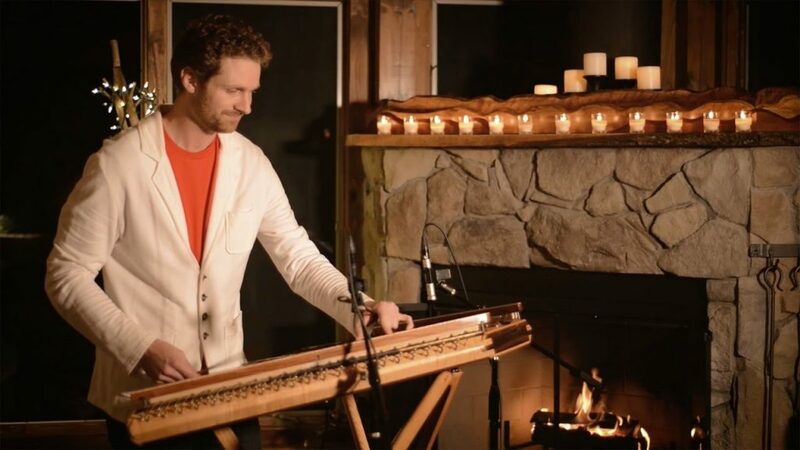 In this special Christmas concert you’ll enjoy the sounds of the hammered dulcimer performed by national champion, Joshua Messick, so come prepared to be mesmerized by these beautiful holiday sounds! For more information call (803) 648-1438 or visit https://www.facebook.com/events/2685030195054744. December 21 – “Rock Out With Edwin McCain” at the Newberry Opera House in Newberry. Join South Carolinas favorite rock artist as he sings many of his classics as well as some of your holiday favorites. For more information call (803) 276-6264 or visit https://www.newberryoperahouse.com/shows-and-events.html?show_name=rock-out-with-edwin-mccain. December 21 – “Beatlesque – A Beatles Tribute Band” at the Sylvia Theater in York. If you are a Beatles fan, you’ll want to come out and enjoy singing to all of your favorite songs! For more information call (803) 684-5590 or visit https://sylviatheatre.com/. December 22 – Christmas Bird Count meeting at Burger King on Rawlinson Road in Rock Hill. Join the Anne Springs Close Greenway Birding Club as they help the National Audubon Society with their annual winter bird count, so bring your binoculars and plan for a fun day outdoor with the birds! For more information call (803) 547-4575 or visit https://www.ascgreenway.org/events/detail/christmas-bird-count-with-the-birding-club. December 22 – “Carol of the King” at the Newberry Opera House in Newberry. This is an Irish dance Christmas show created by the former lead dancer of Lord of the Dance that blends story with Irish music, dance, and song. For more information call (803) 276-6264 or visit https://www.newberryoperahouse.com/shows-and-events.html?show_name=carol-of-the-king. December 22 -23 – “The Nutcracker” at the Etherredge Center of USC in Aiken. The Aiken Ballet is prepared to get your holiday off to a good start with this beautiful classic holiday performance. For more information call (803) 641-3305 or visit https://www.facebook.com/events/2685030195054744. December 30 – Almost Heaven Stables “Fun Show” at Almost Heaven Stables in Warrenville. This is a show for riders of all levels of experience and will include a show just for fun, so pack a picnic and come out for a day of fun with the riders and their horses. For more information call (803) 663-3001 or visit https://almostheavenstables.com/. December 31 – “The L.A. Maybe” at the Sylvia Theater in York. Spend your New Year’s Eve enjoying this great rock and roll band from Charlotte. For more information call (803) 684-5590 or visit https://sylviatheatre.com/. December 31 – New Year’s Eve Mystery Theatre at the Narroway Theatre in Fort Mill. The show is a mystery to solve and will be surprise, so come out for what is sure to be a fun and interactive evening with a wonderful dinner before the show! For more information call (803) 802-2300 or visit https://www.narroway.net/mystery-theater. January 1, 2019 – First Day Hike and Polar Plunge at Aiken State Park in Aiken. Take a 3 mile hike along the Jungle Trail and if you’re brave enough, take a jump into the River. For more information call (803) 649-2857 or visit http://www.tbredcountry.org/Calendar/item16032. January 1 – First Day Hike at a variety of State Parks in the area. Start your 2019 with a hike in one of the areas beautiful State Parks. For more information visit https://southcarolinaparks.com/park-finder. January 1 – 3 – Aiken Challenge I at the Highfields Event Center in Aiken. This is the first stage of the Aiken Progressive Show Jumping Challenge Series so come out and see some of the great talent that will be presenting. For more information call (803) 649-3505 or visit http://www.psjshows.com/shows.html#january. January 2 – 4 – Adventure Seekers: Winter Trek at the Adventure Center of the Anne Springs Close Greenway in Fort Mill. Here is a chance for kids 6 to 14 years old to enjoy some fun outdoor activities before heading back to school. For more information call (803) 547-4575 or visit https://www.ascgreenway.org/events/detail/adventure-seekers-winter-trek. January 5 & 12 – Ancient Sky Lore at the Ruth Patrick Science Education Center Planetarium of the USC Campus in Aiken. Learn the history of some of the constellations in the sky! For more information call (803) 648-4011 or visit http://www.usca.edu/academic-affairs/general-education/ICE/calendar.dot. January 6 – Film Fest at the Sylvia Theater in York. This is a rescheduled event. For more information call (803) 684-5590 or visit https://sylviatheatre.com/. Fourth Tuesdays – Wash Day at the L. W. Paul Living History Farm in Conway. It’s wash day, so learn how clothes were washed and even how soap was made from ingredients found around the farm. For more information call (843) 365-3596 or visit http://www.horrycountymuseum.org/news/wash-day-at-the-l-w-paul-living-history-farm-10/. Thursdays, Fridays and Saturdays – Charleston Night Market at Market Street in Charleston. This evening event includes 120 artists and vendors all local selling locally made items, with live entertainment to serenade you along the way. For more information call (843) 937-0920 or visit http://www.thecharlestoncitymarket.com/main/night-market-explore. Fridays – Sunset Celebration at Shelter Cove Park on Hilton Head Island. Enjoy watching the sun set while you enjoy live entertainment on the lawn. For more information call (843) 757-9889 or visit http://www.sheltercovetownecentre.com/events/sunset-celebration. Saturdays – Farmers Market at Marion Square in Charleston. Start your day with a freshly made breakfast, a fresh cup of coffee, and purchase fresh produce, plants, and a variety of others items while enjoying time in this beautiful space. For more information call (843) 724-7309 or visit http://www.charlestonfarmersmarket.com/. Tuesday through Sunday – Guided Tours of the McLeod Plantation Historic Site in Charleston. This is a 60 acre plantation with one of the best intact examples of slaves’ quarters. For more information call (843) 762-2172 or visit http://www.mcleodplantation.org/. Through December 19 – “A Christmas Carol” at the Dock Street Theatre in Charleston. Enjoy a chance to see an amazing production of this holiday classic! For more information call (843) 577-7183 or visit https://charlestonstage.com/shows-and-tickets/the-shows/58-a-christmas-carol.html. Through December 22 – Nights of a Thousand Candles at Brookgreen Gardens in Murrells Inlet. This incredible holiday event will include more than 4500 hand lit candles and tons of lights that will absolutely mesmerize you, with holiday music to serenade you throughout your visit. For more information call (843) 235-6000 or visit https://www.brookgreen.org/events/nights-thousand-candles-2018. Through December 22 – “The 1940’s Radio Hour” at the Footlight Theatre in Charleston. This fun production will take you back in time with lots of fun and hilarity that you’ll enjoy long after leaving the show. For more information call (843) 722-4487 or visit https://footlightplayers.net/events/1940sradiohour/. Through December 22 – Candlelight Tours at the Nathaniel Russell House in Charleston. Tour this fabulous 19th Century home decorated for the holidays and enjoy a glass of wine! For more information call (843) 724-8481 or visit www.christmasincharleston.org. Through December 22 – Florence Festival of Lights at Hoffmeyer Place in Florence. Take a ride through the more than 150 displays of lights, stop at Santa’s Village, and enjoy a hot beverage before you leave. For more information visit https://florencefestival.eventscff.org/. Through December 22 – Mingle with Kringle at James Island County Park in Charleston. Here is a chance to schedule your one on one visit with Santa for that personal individual or group photograph before the masses arrive to tour the Park. For more information call (843) 795-4386 or visit https://www.ccprc.com/calendar.aspx?CID=97. Through December 23 – “The Charleston Christmas Special” at the Charleston Music Hall in Charleston. Produced by Brad and Jennifer Moranz you’ll enjoy this holiday themed production filled with musical performances and comedy sketches. For more information call (843) 853-2252 or visit https://www.charlestonmusichall.com/event/1605372-charleston-christmas-special-charleston/. Through December 23 – Holiday Magic Show at the Threshold Repertory Theatre in Charleston. Singing illusionist Russell Anderson who has performed in Las Vegas, will give you a holiday show unlike any you’ve ever seen before. For more information call (843) 277-2172 or visit https://charleston.citymomsblog.com/event/holiday-magic-show-at-threshold-repertory-theatre/. Through December 30 – The Sound of Christmas at the Circular Congregational Church in Charleston. From the oldest active church in Charleston, founded in 1681, you’ll enjoy a variety of holiday hymns that span generations and cultures. For more information call (843) 270-4903 or visit http://soundofcharleston.com/. Through December 30 – The Great Christmas Light Show at the North Myrtle Beach Park and Sports Complex in North Myrtle Beach. Travel 1.5 miles and enjoy over 2 million lights including 500 magical displays so don’t miss the chance to enjoy this fabulous display of lights, and be sure to stop at Santa’s Village to enjoy hot chocolate and s’mores, tube down the inflatable slide, ride on Santa’s Express train, and of course, meet with Santa! For more information visit http://parks.nmb.us/festivalsevents/special-events/the-great-christmas-light-show/. Through December 31 – “Moonshine Country Christmas” at the 34 West Theatre in Charleston. Enjoy a date night filled with romance and comedy so if you haven’t been to 34 West check it out as you won’t be disappointed! For more information visit https://www.34west.org/tickets/moonshine-county-christmas. Through January 1 – Harbour Town Lights at Harbour Town on Hilton Head Island. Enjoy the holiday lights while you enjoy live entertainment and other activities, and bring out a canned items or two or an unwrapped toy to place in the “Well” for a child or family in need. For more information call (843) 842-1979 or visit https://www.seapines.com/events/Harbour-Town-Lights/November-2018/%20rel=. Through January 1 – Holiday Festival of Lights at James Island Park in Charleston. Take a tour through this Park to enjoy the incredible lights displayed, and be sure to stop for a visit with Santa, purchase a gift or two, roast some marshmallows and enjoy some hot chocolate! For more information call (843) 406-6990 or visit https://www.holidayfestivaloflights.com/. Through January 31, 2019 – Public Art Exhibition at the Coastal Carolina Museum of History at the Honey Horn on Hilton Head Island. Come see 20 fantastic sculptures created by sculptors from around the world. For more information call (843) 681-9100 or visit http://cf-lowcountry.org/About/CommunityLeadership/PublicArt/Exhibition.aspx. December 19 – “Rudolph the Reindeer: The Musical” at the North Charleston Performing Arts Center in North Charleston. Bring the kids out for what is sure to be a fun and enjoyable live production of this holiday classic show! For more information call (843) 529-5000 or visit https://www.northcharlestoncoliseumpac.com/events/detail/rudolph-the-red-nosed-reindeer-the-musical. December 19 – Modern Day Slavery: A Look at Human Trafficking at the Morris Center for Lowcountry Heritage in Ridgeland. Modern slavery exists in the form of human trafficking and this is a chance for you to learn just how extensive it is in SC and how at risk you and your children may be! For more information call (843) 284-9227 or visit http://www.morrisheritagecenter.org/events/. December 20 – 23 – “Marvel Universe Live! Age of Heros!” at the North Charleston Coliseum in North Charleston. This performance just for the Marvel fans is one they won’t want to miss! For more information call (843) 529-5000 or visit https://www.northcharlestoncoliseumpac.com/events/detail/marvel-universe-live-age-of-heroes. December 21 – “Celtic Thunder X” at the North Charleston Performing Arts Center in North Charleston. These tremendously talented artists are prepared to give you a show that you won’t soon forget! For more information call (843) 529-5000 or visit https://www.northcharlestoncoliseumpac.com/events/detail/celtic-thunder-x. December 21 – “Vienna Boys Choir” at the Gaillard Center in Charleston. This group noted as one of the finest vocal ensembles in the world is one you won’t want to miss this holiday season! For more information call (843) 724-5212 or visit https://gaillardcenter.org/event/vienna-boys-choir/. December 21 – 22 – “Ballet Evolution: Snow Queen” at the Sottile Theatre at the College of Charleston in Charleston. Be sure you don’t miss this new holiday classic show choreographed by the 2017 South Carolina Arts Commission fellowship winner, Jonathan Tabbert. For more information call (843) 805-5507 or visit http://widget.ebsmartsite.com/components/event_detail.aspx?EventID=916621&WebLink=C.150F3641&xml_path=https://us2.eventbooking.com/. December 22 – “Murder Under the Mistletoe” at the Summerville Community Theatre in Summerville. This murder mystery is a fundraiser for the Flowertown Players and will include a little mystery, food, and fun! For more information call (843) 875-9251 or visit https://www.flowertownplayers.org/. December 22 – “Twas the Night Before Christmas” at the Sottile Theatre at the College of Charleston in Charleston. Children and adults alike will enjoy classical holiday music, as well as the performers from the Actors Theatre of South Carolina retell favorite holiday classic stories. For more information call (843) 529-5000 or visit http://widget.ebsmartsite.com/components/event_detail.aspx?EventID=1095552&WebLink=C.150F3641&xml_path=https://us2.eventbooking.com/. December 22 – “The Wanderland Tour: Lindsey Sterling” at the North Charleston Performing Arts Center in North Charleston. If you haven’t had the good fortune to see this incredible talented musician and dancer, you won’t want to miss her show! For more information call (843) 529-5000 or visit https://www.northcharlestoncoliseumpac.com/events/detail/lindsey-stirling-the-wanderland-tour. December 22 – Holiday Pops at the Gaillard Center in Charleston. Presented by the Charleston Symphony Orchestra, you’ll enjoy a show filled with beautiful chamber holiday music. For more information call (843) 724-5212 or visit https://gaillardcenter.org/event/holiday-pops/. December 27 – “Bless the Rains – The Ultimate Toto Tribute Experience” at the House of Blues in Myrtle Beach. Take a journey back in time and enjoy the songs of this 70’s rock band! For more information visit http://www.houseofblues.com/myrtlebeach/concert-events. December 28 – An Evening with “Jump Little Children & The New Oblivion Orchestra” at the Charleston Music Hall in Charleston. They’ve put out a new album and have come to introduce you to the music they’ve created, so you won’t want to miss this show which will include a few chamber instruments. For more information call (843) 853-2252 or visit https://www.charlestonmusichall.com/event/1786316-evening-jump-little-charleston/. December 28 – “Rumours – A Tribute to Fleetwood Mac” at the House of Blues in Myrtle Beach. Spend an evening enjoying all of your favorite songs as performed and sung by this talented tribute band. For more information visit http://www.houseofblues.com/myrtlebeach/concert-events. December 29 – “Blue Dogs Homecoming and 30th Anniversary Celebration at the Charleston Music Hall in Charleston. It’s been 30th years they’ve been together and their mission for this event is to increase the money they raise for pediatric cancer research at this homecoming event, so come out and support this great local band and the great cause they support. For more information call (843) 853-2252 or visit https://www.charlestonmusichall.com/event/1717732-blue-dogs-6th-annual-charleston/. December 29 – “Thunderstruck – The Ultimate AC/DC Tribute Band” at the House of Blues in Myrtle Beach. Spend your evening enjoying classic heavy metal by this rockin’ tribute band! For more information visit http://www.houseofblues.com/myrtlebeach/concert-events. December 29 – “Is This Art? Stand-up Comedy Show Part 2” at the Summerville Community Theatre in Summerville. Come out and enjoy what is sure to be a great show filled with laughter and fun! For more information call (843) 875-9251 or visit https://www.flowertownplayers.org/. December 30 – “Dancing with the Stars Live!” at the North Charleston Performing Arts Center in North Charleston. You’ve seen them on TV, so here is your chance to see them perform live and in person, so don’t miss the chance to enjoy what is sure to be a great show! For more information call (843) 529-5000 or visit https://www.northcharlestoncoliseumpac.com/events/detail/dancing-with-the-stars-live. 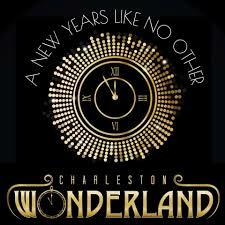 December 31 – Charleston Wonderland New Years Eve Celebration at Memminger Auditorium in Charleston. Here is a chance to attend the best rated New Years celebration in Charleston with Cirque acts, a fire and ice show, music and dancing, and why give all the surprises away, so don’t miss this chance to “dress to impress” and have the New Years Eve of your life! For more information visit https://www.charlestonwonderland.com/. December 31 – Happy New Year Charleston! On Marion Square in Charleston. This free event is a great one to bring the children with street performers, activities including karaoke, local bands and dancing, and a lot of alcohol-free family friendly fun! For more information call (843) 724-7305 or visit https://www.charleston-sc.gov/index.aspx?NID=869. December 31 – Yorktown Countdown! on the deck of the USS Yorktown at Patriots Point in Mount Pleasant. Spend your New Years Eve on the deck of this incredible ship with a chance to tour it in its entirety, while enjoying a variety of great music, a vast variety of great drinks, local cuisine, and the most incredible views you’ll find anywhere else in the city! For more information visit https://yorktowncountdown.com/?gclid=EAIaIQobChMIgcu2tLSl3wIV20sNCh3wCAjYEAAYASAAEgLWbPD_BwE. December 31 – Snyder New Years Eve Grand Ball at the South Carolina Aquarium in Charleston. Enjoy your New Years Eve at this “black tie optional” event on the water at this fabulous location with music by Midnight City and DJ Natty Heavy, awhile enjoying heavy hors d’oeuvres, a full open bar, a commemorative cup, and a glass of bubbly to ring in the New Year! For more information visit https://snydergrandball.com/. December 31 – Chucktown Countdown at the Charleston Marriott on Lockwood Drive in Charleston. You’ll enjoy more than 25,000 square feet of music, food, beverages, and a new 3D Projection Show, so come out and join the party! For more information visit https://www.eventbrite.com/e/chucktown-countdown-2018-2019-charleston-sc-new-years-eve-party-tickets-51668778708?aff=ebdssbdestsearch. December 31 – Casino Royale New Years 2019! at the Exquis Event Center in North Charleston. For those of you who like to gamble, here is a chance to ring in your New Year playing black jack, craps, poker, and roulette while enjoying good food and beverages, so come out in your best attire and get ready to have some fun! For more information visit https://www.eventbrite.com/e/casino-royale-new-years-2019-tickets-45923099226?aff=ebdssbdestsearch. December 31 – The Carolina Girl – New Years Eve Party on the Carolina Girl boarding at St. John’s Yacht Harbor in John’s Island. Who wouldn’t want to ring in the New Year on a yacht on the beautiful water where you can enjoy music and dancing, two open bars, passed hors d’oeuvres, beautiful scenery, and a champagne toast at midnight. For more information visit https://www.eventbrite.com/e/the-carolina-girl-new-years-eve-party-tickets-50458921994?aff=ebdssbdestsearch. December 31 – New Year’s Eve Stroll Under the Lights Pre Party at Brookgreen Gardens in Murrells Inlet. Start your evening with a tour through the Sculpture Gardens lit by candlelight and holiday lights while enjoying music and light refreshments. For more information call (843) 235-6000 or visit https://www.brookgreen.org/events/new-years-eve-stroll-under-lights. December 31 – A Southern Times Square at The Market Common in Myrtle Beach. This family friendly event will include lots of live music and other entertainment, activities for the kids, food and drink vendors, a mirror ball drop, and a fireworks display so come out and ring in 2019 at one of South Carolinas favorite locations! For more information visit https://www.myrtlebeach.com/myrtle-beach-events/southern-times-square-at-the-market-common/. December 31 – “Corey Smith” at the House of Blues in Myrtle Beach. What better way to spend your New Year’s Eve than at the House of Blues with this amazing artist! For more information visit http://www.houseofblues.com/myrtlebeach/concert-events. January 1, 2019 – First Day Hike at a variety of State Parks in the Lowcountry. Spend the first day of 2019 enjoying a beautiful walk in one of the areas amazing State Parks. For more information visit https://southcarolinaparks.com/park-finder. January 1 – Lowcountry Polar Bear Run at Hilton Head Lakes Country Club in Hardeeville. Start working off some of those holiday pounds and get your 2019 off to a great start with a 5K run or a 1 mile run/walk. For more information call (843) 757-8520 or visit https://www.active.com/hardeeville-sc/running/distance-running-races/hh-polar-bear-run-2019. January 1 – New Year’s Day 5K at Wild Dunes Resort on the Isle of Palms. Start your 2019 with a 5K run/walk/stroll along the beach! For more information call (843) 659-4445 or visit https://www.facebook.com/events/243380633026268/. January 4 – 5 – “Beethoven’s 5th” at the Gaillard Center in Charleston. You’ll enjoy one of the most recognized pieces of classical music as performed by the Charleston Symphony Orchestra. For more information call (843) 242-3099 or visit https://gaillardcenter.org/event/beethovens-5th-2/?instance_id=913. January 5 – New Year, New You at the Morris Center for Lowcountry Heritage in Ridgeland. Learn how to create a vision board to help you create a vision of your life, you hopes and dreams for the future, and goals you can set for yourself to reach them. For more information call (843) 284-9227 or visit http://www.morrisheritagecenter.org/events/. January 7 – WWE Live at the North Charleston Coliseum in North Charleston. They’re back and ready to give you another show, with many of your favorites including Champion Daniel Bryan vs. Samoa Joe and AJ Styles vs. The Miz. For more information call (843) 529-5000 or visit https://www.northcharlestoncoliseumpac.com/events/detail/wwe-live. January 7 – “Grease – Sing-a-Long Film Series” at the Charleston Music Hall in Charleston. Everyone loves this movie and here is a chance for you to see it and sing along to the songs! For more information call (843) 853-2252 or visit https://www.charlestonmusichall.com/event/1800760-grease-sing-along-film-series-charleston/.